Reston’s MAXIMUS has appointed Bruce Caswell as its new president, while Richard Montoni will remain in the chief executive officer and director roles. 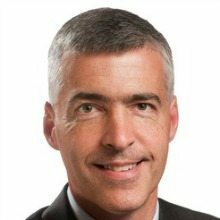 In his new role, Caswell will be responsible for the operational execution and growth of the company, including the Health Services and Human Services segments. This appointment will be effective October 1, 2014, and Caswell will continue to report to Montoni. In the new arrangement, Caswell will continue to serve as president of the Health Services Segment, where he directs the company’s global health operations including program management and operational support for a variety of health programs. Additionally, Montoni will continue in his role as CEO and as a member of the MAXIMUS Board of Directors; he has held these positions since 2006. Montoni will focus on the company’s long-term growth objectives and strategic vision, will lead the acquisition program, and will interface with shareholders.